At Blackburn’s Catering, we know every event is different because every customer is different. That’s why we offer a range of services, a variety of cuisines, and any meal you desire. Our staff loves collaborating with customers to ensure their visions come to reality. 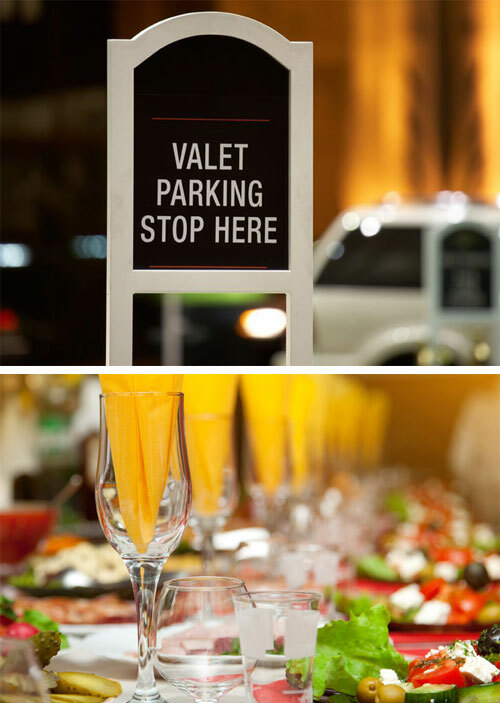 We have three levels of catering services that go from cost-effective to high-end, for your convenience. Our full-service catering is the backbone of Blackburn’s Catering and what most people associate with the word catering. Our event planner manages and executes most aspects of your event, from glassware, napkins, and flowers to the music, decorations, theme, and even event location. If you have an event planner or are hosting a more low-key affair, our partial-service catering may be for you. At this level, we prepare your meal at our location or at the event site and provide a self-service buffet. For those events that require quality food without a lot of fuss, no-service catering is the best bet. We prepare disposable trays of the food items of your choice either delivered to your door or picked up at ours. Chef Bill Blackburn and his son Justin both studied French techniques, but they are well versed in nearly every cuisine. They love to develop custom menus with their clients, using food from the best local vendors. Whether you want to serve sushi and spring rolls, tropical salmon, or barbecued ribs, we can make your guests’ mouths water and give them something to talk about for years to come. No matter what menu you choose, you can trust that it will be beautifully arranged. Our chefs pride themselves on the art of the presentation. Are you treating your staff to breakfast, hosting brunch for your wedding party, offering lunch during your two-day workshop, or holding a sit-down dinner? We can create every meal of the day or just small plates, hors d’oeuvres, or dessert. Our staff can cater any type of event, and they probably have in our 10 years in business. Celebrations, including weddings, graduations, birthday parties, award banquets, holiday gatherings, and more, often center around food. We will enhance your event with buffet or menu catering, and we can also help you with the details, such as the silverware and the flowers. Funerals bring loved ones together for a more somber occasion, and the last thing you want to think about is how to feed them. Call on us to take care of the food so you can focus on your family at this difficult time. We cater and plan corporate events, from board meetings and training sessions to retirement parties and client luncheons. Our team is aware of the importance of branding and the impression you wish to give to your staff and clients. You can rest assured we will treat your event with the utmost professionalism and attention to detail. Call us today at 951.818.9037 for your catering needs.